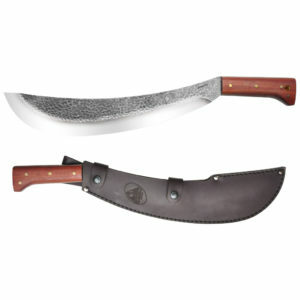 The Hawkbill Machete is a curved or hooked machete that can be sharpened on both sides or on the inside of the curve. 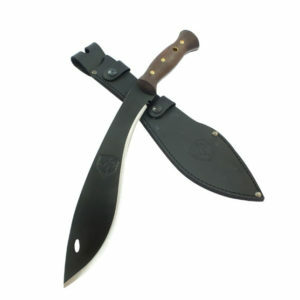 The sharpened tip concentrates force on a sharp point allowing it to pierce an cut very hard materials, while the inner curve facilitates the reaping and collecting of stalked vegetation. 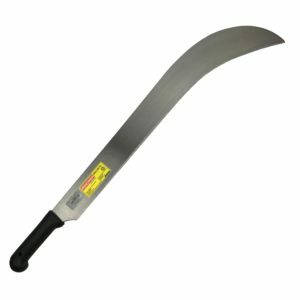 Uses: Generally used for cutting tall grasses.